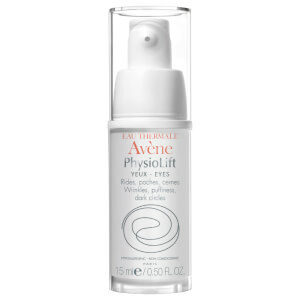 Specially formulated to reduce the appearance of deep lines, puffiness and dark circles around the sensitive, delicate eye contour. Innovative 'patch' texture prevents migration of the formula into the eyes for optimal efficacy and tolerance. Apply in the evening by gently dabbing on the eye contour, focusing on the crow's feet and smoothing around the eyebrow arch. 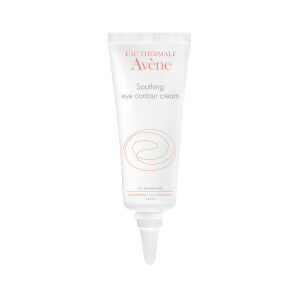 Avene Thermal Spring Water, Aluminum Starch Octenylsuccinate, Glycerin, Isodecyl Neopentanoate, PPG-15, Stearyl Ether, Cetyl Alcohol, Cetearyl Alcohol, Glyerin Stearate, PEG-100 Stearate, Caprylic/Capric Triglyceride, Dimethicone, 1,2-Hexanediol, Ascophylium Nodosum Extract, BHT, Caprylyl Glycol, Ceteareth-33, Disodium EDTA, Retinal, Sodium Dextran Sulfate, Sodium Hyaluronate, Sodium Hydroxide, Tocopheryl Acetate, Xanthan Gum. I used this product for several years before stopping it. I was trying to downsize my skin care routine. I'm going back to it as my eyes are starting to go back to their old tired and fine line look. I won't stop using this product again.